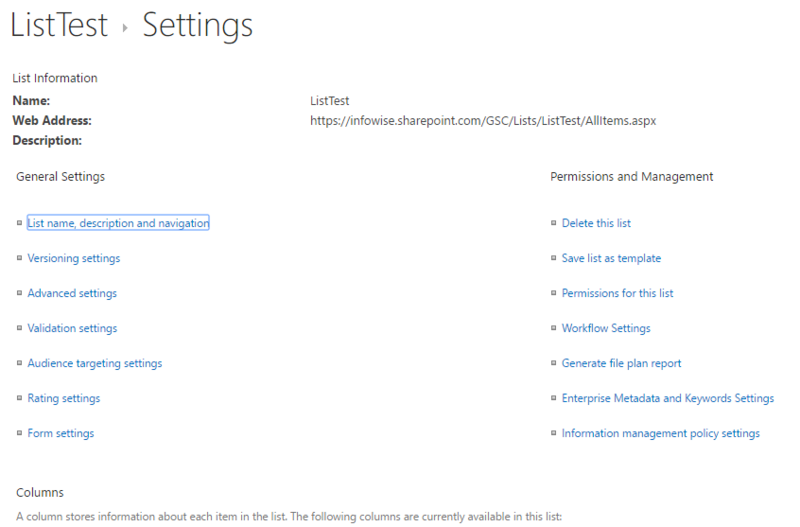 Infowise Ultimate Forms (IUF) has two separate versions, that for SharePoint On Premises and the “App version” for Office 365 (SharePoint Online). Due to limitations imposed by Microsoft, the Office 365 version of IUF has some formatting and function differences from the On Premises. Since the majority of the trainings have screenshots and videos taken using SharePoint 2013 (On Premises), there may be some differences between what is displayed in Office 365 and what is shown in the trainings on this site. We have added callouts to the trainings where appropriate to describe any critical differences between what is shown and what is found on Office 365. Pay attention to these callouts as they will answer any questions about a particular menu or topic. 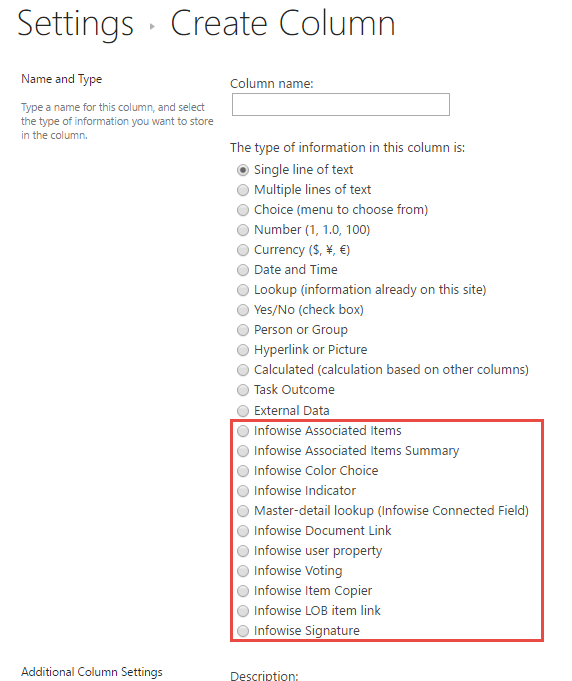 In addition to the callouts, this page gives a provides overview of the formatting differences between Infowise Ultimate Forms in Office 365 and the On Premises version. In the On Premises environment, the Infowise Ultimate Forms tools are integrated directly into the List Settings page in addition to the Infowise Design Page. For Office 365 the Infowise Ultimate Forms tools are not on the List Settings page and can only be found on the Infowise Design Page. Creating or configuring Infowise Custom Columns (Indicator, Color Choice, Associated Items, etc…) in the On Premises environment is done in the Create Column page from List Settings. 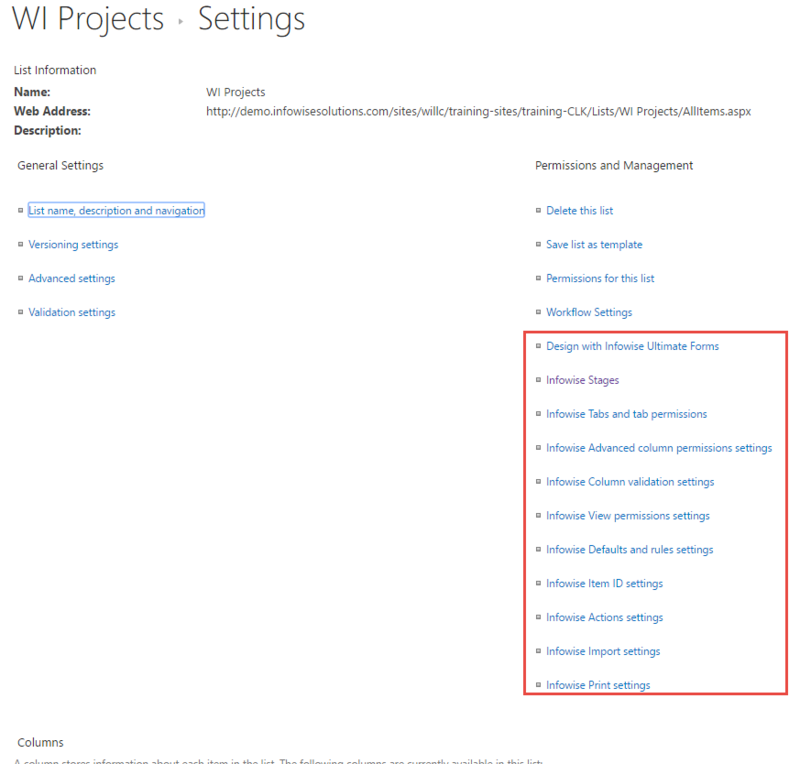 For the Office 365 environment, custom columns must be added through the Infowise Design Screen. 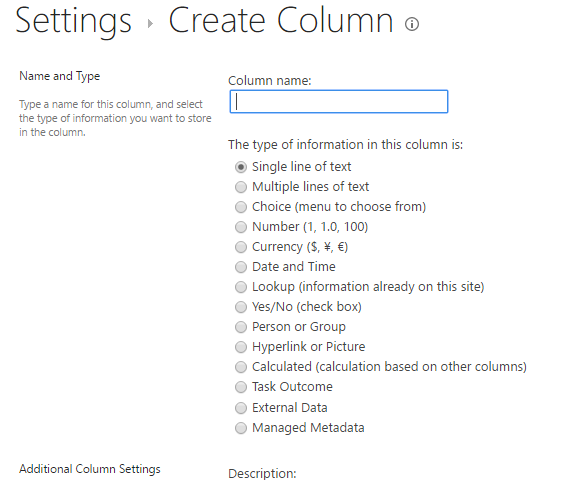 Additionally, once a custom column is created in the On Premises environment it will be displayed along with the traditional columns in List Settings. 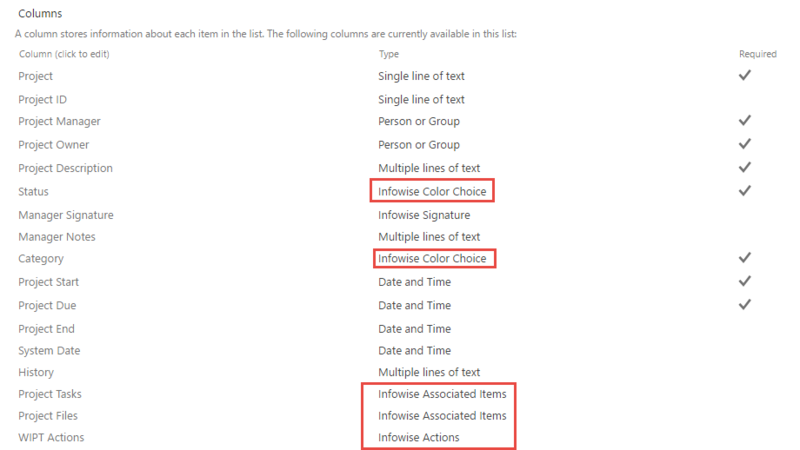 For Office 365, custom columns are not displayed in List Settings and can only be edited via the Infowise Design Screen. For the On Premises version, actions must be assigned to “columns” which can then be enabled or disabled as a group. 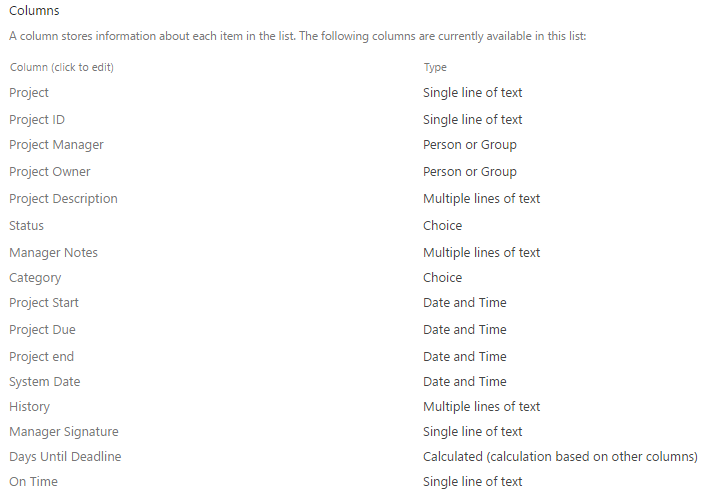 For the Office 365 version, actions cannot be assigned to columns. This leads to a major change on the format of the Advanced Settings tab of the actions. Functionally the Office 365 version does not have the “Column Name” as described above. Additionally, the Office 365 version’s actions are always Hidden when automatically executed, which is why that setting is not present. Also for the On Premises version there is an option to have the users Opt In or Opt Out when running the action, this is not possible for Office 365. 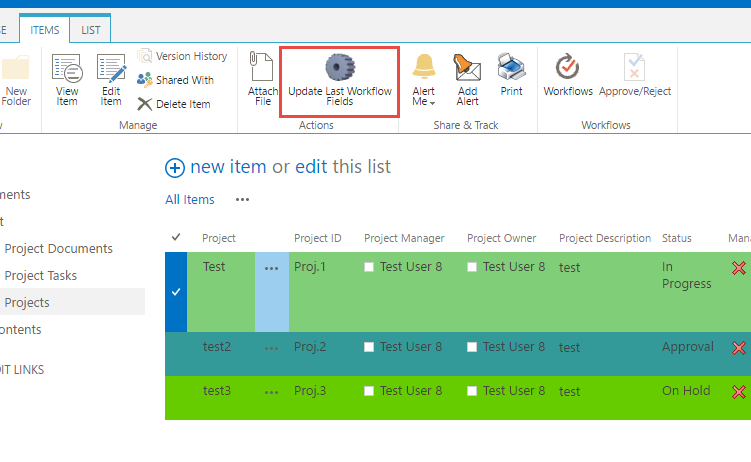 For the On Premises version actions can be assigned to columns (which show up in list views and forms), assigned to the context menu, or assigned to the ribbon menu. For Office 365, Manual Execution can be turned on which will add the action to both the Context Menu and the Ribbon Menu but not create a column. 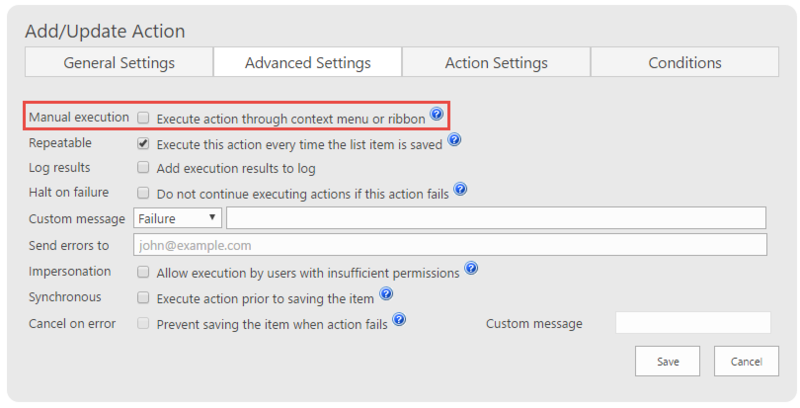 When actions are set to the context or ribbon menu for on Premises, they are displayed directly on the ribbon or menu. 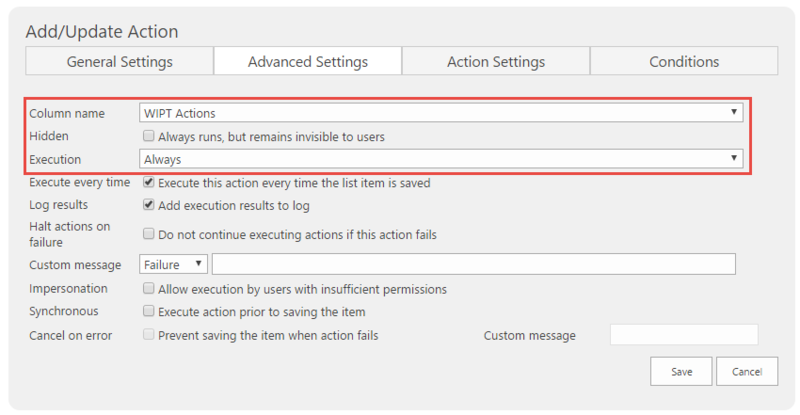 For Office 365, the actions are accessed by clicking Run Actions from those menus.